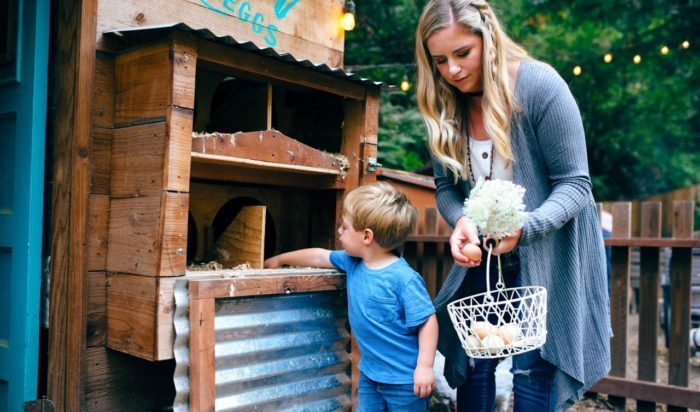 COMB FARMS – People often think this is our last name but we chose Comb because of the connection between two of our primary passions – chickens and beekeeping! We’re located in the sweet little beach town of Pacifica, just a few miles south of San Francisco. 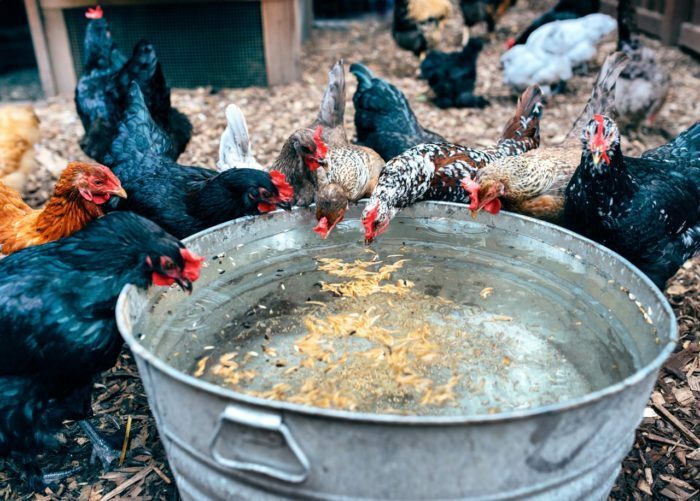 I spent a few summers on a cattle ranch in Hopland, CA when I was growing up and quickly found a love for keeping chickens, growing food, riding horses and general farm life. My mom would always say “I hope you marry a rancher” which is kind of funny when I think about that now. In the summer of 2011, just 6 months after John and I got married, I got this crazy itch to keep chickens. I asked my darling new husband for a coop that year for my birthday and so began our journey. 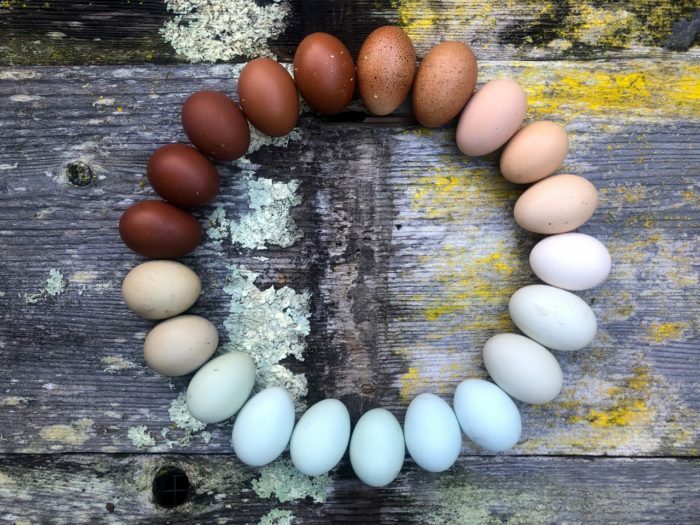 In 2016, we packed up and moved to Pacifica and expanded our coop and I really started getting into rainbow egg layers. The kitchen garden and bees soon followed and I can’t imagine a life now where we aren’t living this kind of lifestyle. 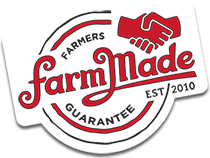 Our dream would be to move to Sonoma County and expand into small scale family farming – full time! I may not have married a rancher but my husband and I are backyard farmers together – and I wouldn’t have it any other way! 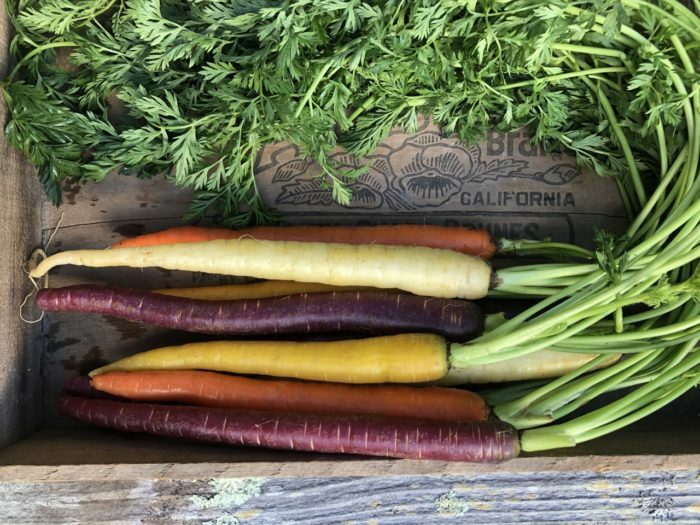 We have a mixed flock of rainbow layers, keep bees and grow a fun variety of rainbow produce including rainbow carrots, an amazing collection of rare heirloom beans, fun radish varieties and heirloom tomatoes. 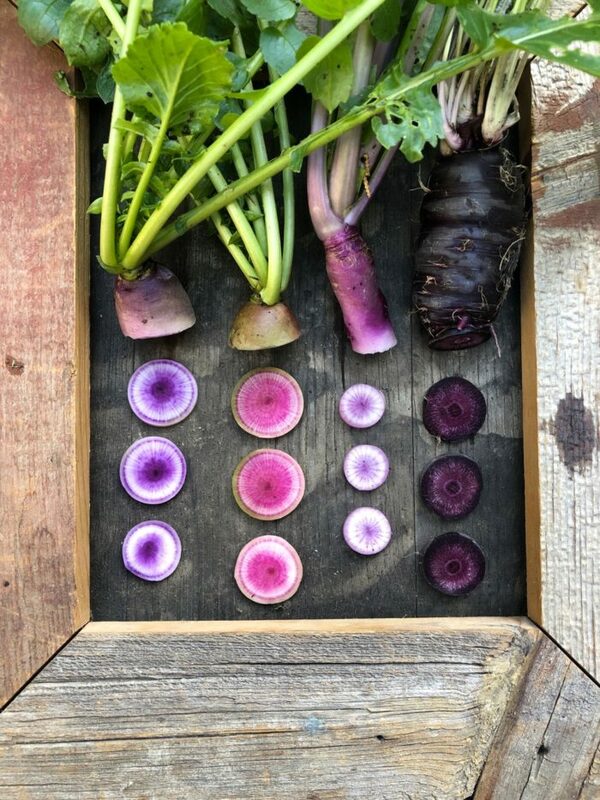 I love growing interesting and rare varieties that you can’t find at local supermarkets. We share and trade our excesses with friends, family, coworkers and people we connect with locally through Instagram or word of mouth. I am really interested in biodynamics and bringing a holistic approach to our small farm. I collect seeds from my heirloom varieties and trade with other homesteaders. I believe in treating our animals with respect. We practice plant diversity and crop rotation for our pollinators, to help control pests and disease, and to rebuild our soil. I care about sharing our passion with others in the way of excess veggie starts, seeds or the produce itself. I’m no expert but the more time you spend outside, the more you become in touch with the world around you and how it’s connected. Besides browned butter, chocolate chip cookies, I love making ham bone beans with a mix of rainbow beans from our garden. Throw it in the crockpot with some veggies and seasoning and get ready for your home to smell amazing! Starting seeds with my boys. Their flats may not germinate at the same rate as mine but it’s a wonderful thing for us to do together and a fun way to kick off the growing season! We have two young boys, 2 and 4 years, and I’m really passionate about connecting them to their food. We spend a great deal of time talking about what it means to be healthy and strong – and not just physically – mentally and spiritually as well. Working in the garden together and taking care of our animals is a really fun way for us to connect outside and creates so many opportunities to talk about life, death, biodynamics and conservation. Those may seem like complex conversations for little ones but they really understand so much. Being outside, away from technology, gives us a chance to be with each other in a beautiful way. Additionally, my husband and I work full time and keeping our little farm is absolutely a way for me to decompress. I’m a busy person by nature so although it’s work – it’s good work. I find so much peace in getting my hands dirty and caring for our little farm with my family by my side. This is a hard one because there are so many things! Ok, stay with me…. follow your passion, start small, read all you can, don’t be afraid to fail, connect with the land, it’s hard but it’s worth it. There are days when we lose animals, lose crops to pests, times when we have a hive swarm, or worse, hive collapse, and I just find myself tired, sad, and wanting to give up. But this lifestyle always calls me back. I feel like I will forever be a student – learning and growing from experiences. I have this strong desire to continue when things get hard because really, this feels like who I should be and what I should be doing. As a 5th generation Californian, a great granddaughter (X3) of a Native Son of the Golden West, maybe this is just in my blood. 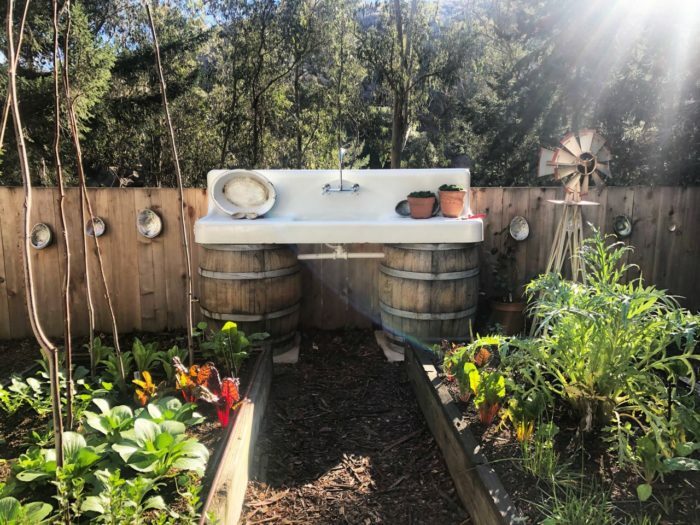 We connect with other farmers and homesteaders through Instagram – @comb_farms Please stop by and say hi! 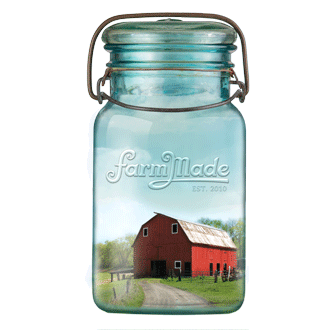 We, at the FarmMade test kitchen, have dreamed up four cookie recipes that honor Springtime on the farm. THANK YOU to the first four egg farms that were excited to participate and send us a variety of colorful eggs. 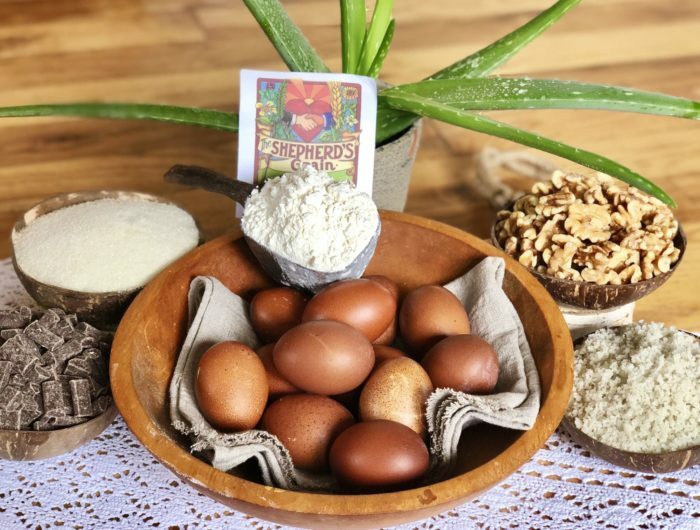 Another THANK YOU goes to Shepherd’s Grain, who were kind enough to send us three distinct flours to experiment with; All purpose, Pastry and Whole Wheat. Flour is the unsung hero of every baked good. The quality of their flour is unsurpassed. Their close relationship with each farmer ensures their stringent requirements of no-till and NON-GMO farming practices are met. This week we debut a farm family favorite, submitted by Laurel of Comb Farms out of Pacifica, CA. 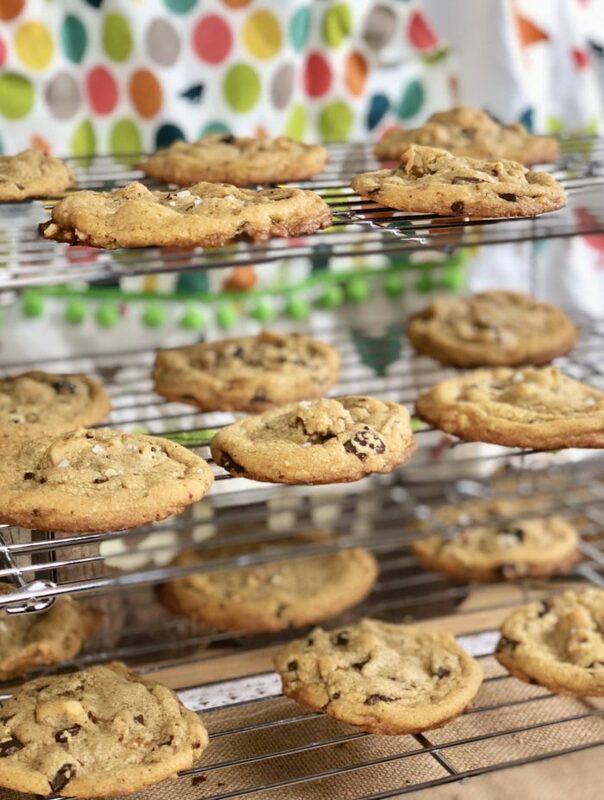 She has fond memories of her mother in the kitchen baking up her “Best Chocolate Chip Cookies EVER” and with certainty that they would be gone in no time. 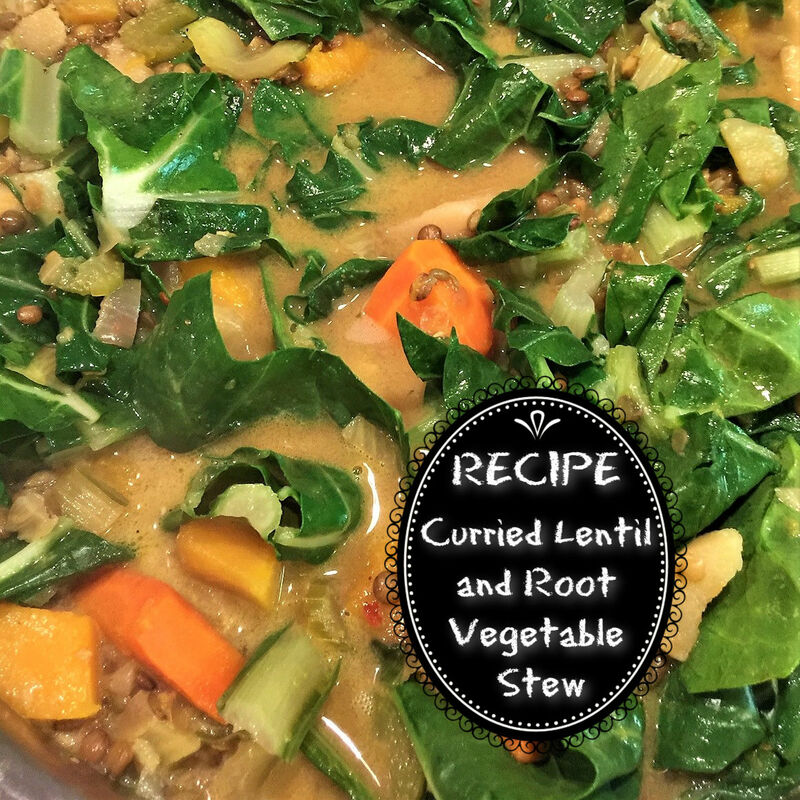 The original recipe comes from Cooks Illustrated but requires a paid membership, so we did some sleuthing and found a recipe adapted from the original at Brown Eyed Baker that is VERY similar. 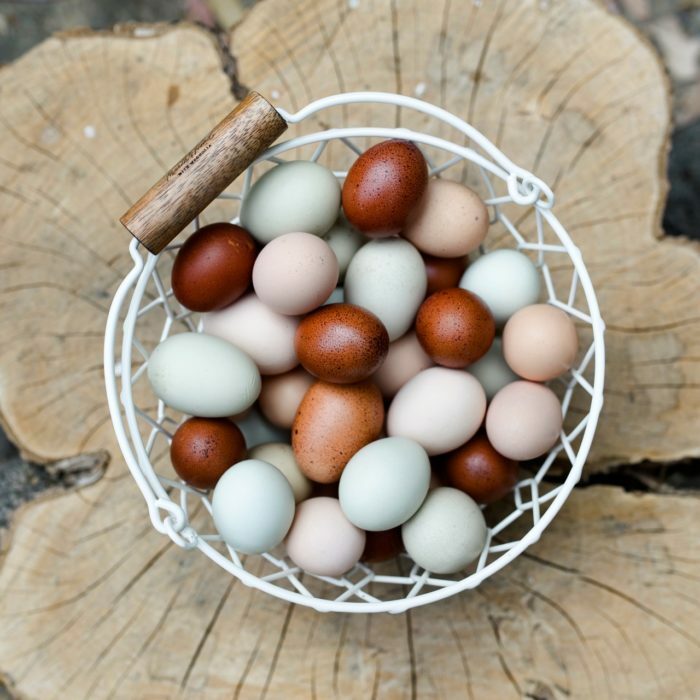 A dozen chocolate colored Maran chicken eggs were sent our way from Comb Farms, which we used to replicate her childhood favorite cookie recipe. 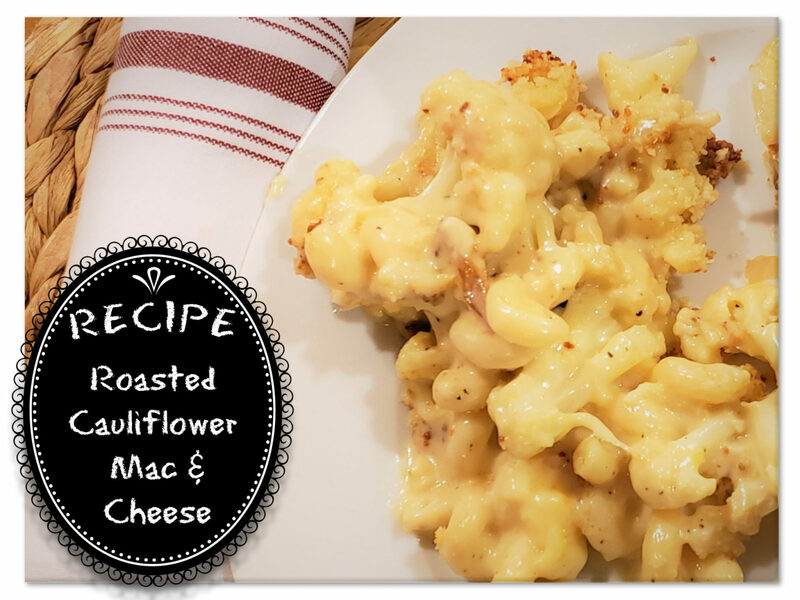 It has made it to a written recipe card and officially resides in our Farmhouse Kitchen Recipe box as a favorite! 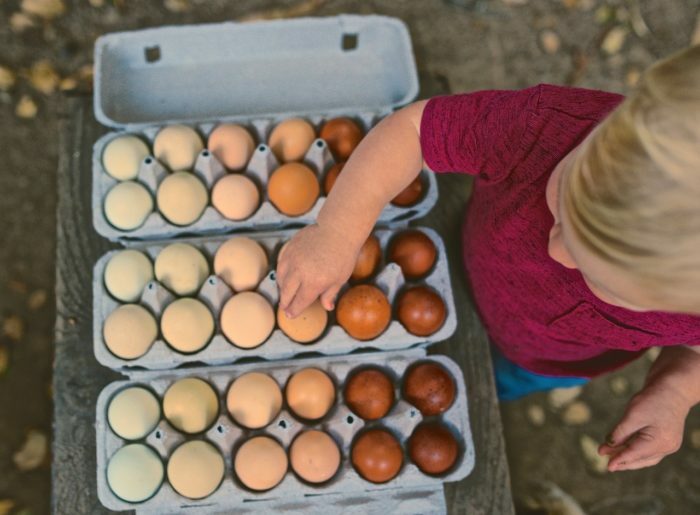 Pick up a dozen eggs from your local farmer and let us marvel at your baking skills. 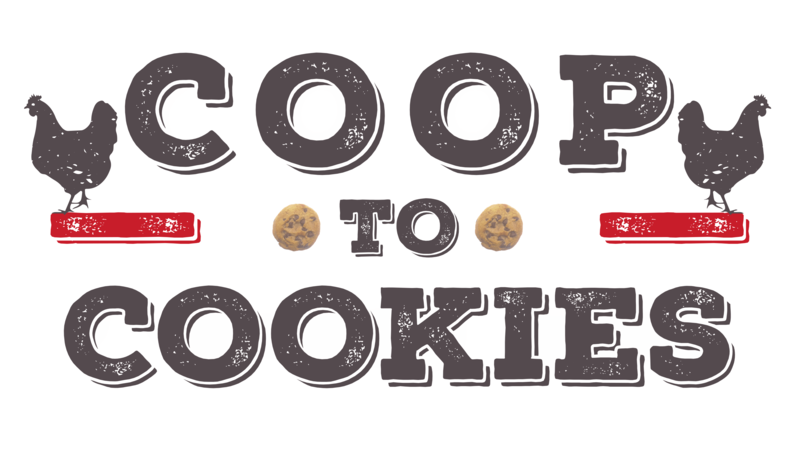 Share a photo on Instagram of your COOP TO COOKIES creation, and hashtag your post #cooptocookies so we can celebrate and share your creations. “Best Chocolate Chip Cookie Recipe EVER” is located at Brown Eyed Baker…check it out and make them TODAY!!! You won’t want to wait. Browned butter and dark brown sugar sets this cookie apart, almost like a piece of toffee and a chocolate chip cookie had a lovechild. DIVINE! If you happened to miss our first Coop-To-Cookies featuring Alchemist Farm, mosie on over and try your hand at a scrumptious Oatmeal Hummingbird Cookie recipe. 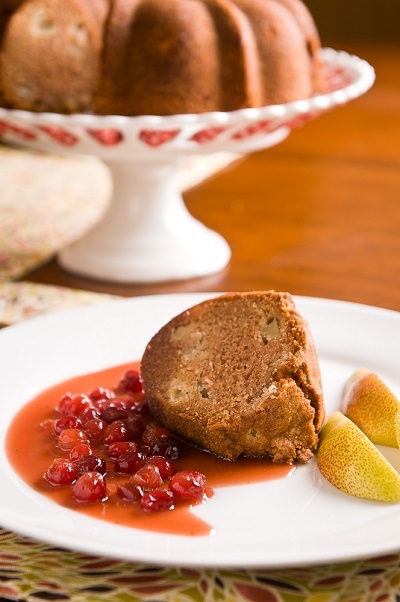 We adapted it from the traditional Hummingbird Cake, which is famous down South and brought to many Southern gatherings and celebrations. The easy peasy cookie cookie version will be sure to have you singing the songs of the South in no time. 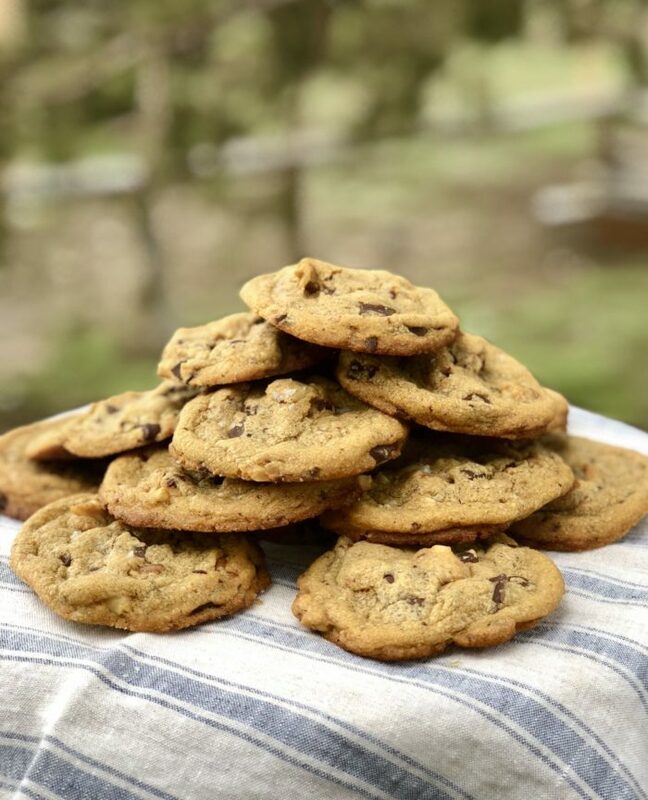 Try either the Oatmeal Hummingbird Cookie or BEST Chocolate Chip recipes out and leave us a comment and/or photo in the section below or on Instagram with the #cooptocookies! There is a special giveaway for all who participate…so don’t wait!! !